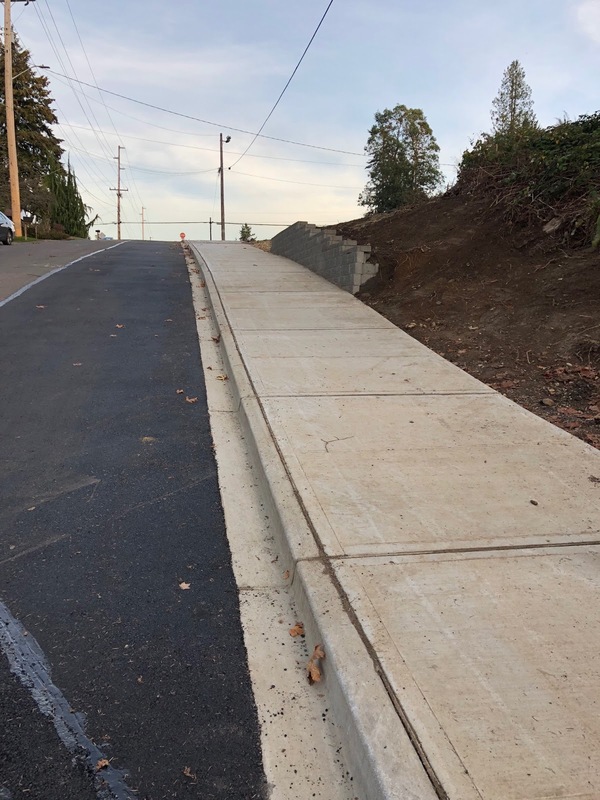 A recently completed one block sidewalk in Shoreline connected two major trails. The Interurban Trail, completed several years ago, runs diagonally through the entire city of Shoreline, from Seattle to Snohomish county. The newer 195th Trail is planned to connect the Interurban Trail to the Burke Gilman Trail in Lake Forest Park. It will also tie in to the planned trail along I-5 and the Sound Transit stations. Recently, a one block section was created which links the 195th Trail to the Interurban Trail on the east side of Echo Lake. The section is on N 195th and runs from Ashworth west to Stone Ave and the Interurban Trail.